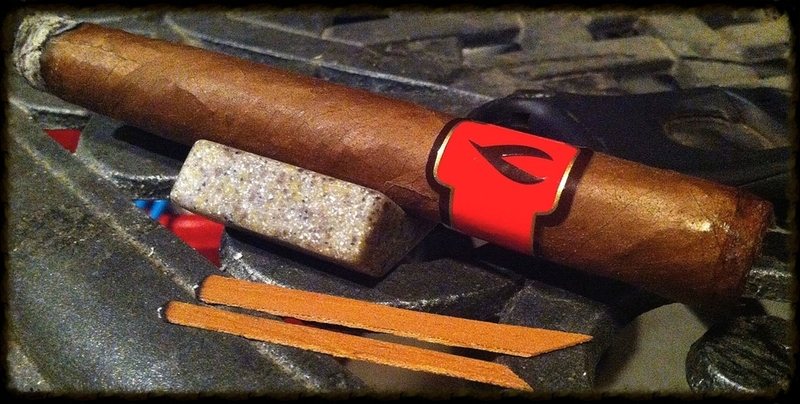 Smoking Jacket Cigars - the inaugural brand by young master blender of tobaccos, Hendrik Kelner, Jr. The inaugural release by Hendrik Kelner, Jr., “Smoking Jacket” is the first cigar created in his newly opened Kelner Boutique Factory (KBF) in Santiago. Utilizing some of the finest tobaccos in the world, “Smoking Jacket” was developed to provide connoisseurs with a truly sophisticated cigar smoking experience. Handsomely dressed with a striking red band, Smoking Jacket is presented in an elegantly shaped, dark wooden box of 20 cigars, priced with an MSRP of $7 – $10 per cigar. Distributed exclusively by longtime friends, Davidoff of Geneva, Smoking Jacket cigars are available at select Brick & Mortar stores nationwide. Influenced by legends in the cigar world, Hendrik always dreamed of opening an independently owned cigar factory, enabling him to create unique cigar blends with his own personal touch. Smoking Jacket is a new cigar brand released in the US market in September of 2013. Only 75 cigar stores will carry them as supply is extremely limited. The line consists of 4 cigar sizes, each with it's own blend to offer a unique smoking experience . After almost 20 years of working with his father Henke, Hendrik’s dream, Kelner Boutique Factory (KBF), has finally become a reality. Every complex smoke achieves that elusive balance between flavor and strength — supremely rolled with the connoisseur in mind. Smoking a cigar is an experience. Smoking a well constructed, perfectly burning cigar with a range of complex flavors can alter one's appreciation for the true art of cigar making. Blending cigars is as much art as at is science. From year to year, master blenders take varying tobacco crops and reproduce the same flavor, draw and strength. Doing so with consistency over the long term is what separates the layman from the master. A connoisseur is a person of informed and discriminating taste who appreciates and enjoys subtleties. To appreciate a cigar with the subtle complexities and vast flavor profile of a Smoking Jacket, one must be willing to patiently explore this cigar from head to foot. Delicate yet precise changes from start to finish will provide the willing smoker hours of enjoyment.